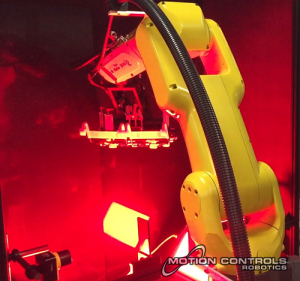 What do our board stacking robotic systems offer? 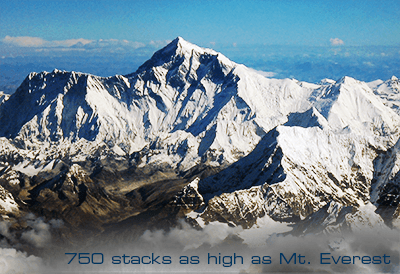 The capability of stacking up to 220 feet per minute. Flexibility is the new fast and these systems can handle boards of different thicknesses and lengths (4 – 16 feet long). 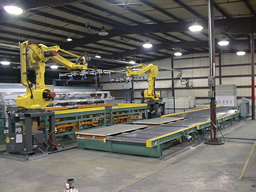 An automated system perfect for stacking tapered boards, because the robots can quickly rotate boards 180 degrees for straight stacks. 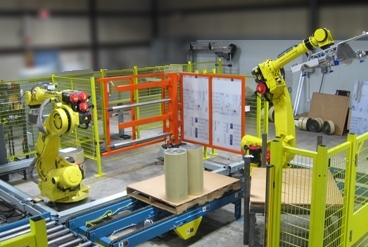 Our previous systems have allowed companies to reduce labor needs in stacking cells by 50-66% – moving employees to jobs where they can be used more effectively and with less operator injury. 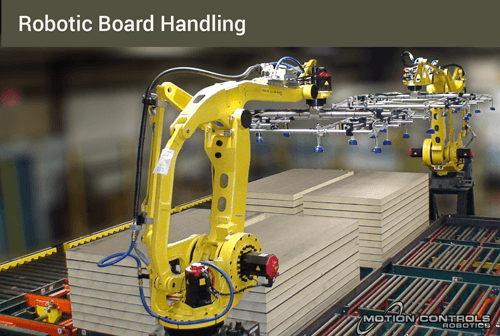 MCRI has designed 15 board handling robot cells the oldest running 24/7 for 15 years. We have stacked enough boards to make 750 stacks of boards as tall as Mt. Everest.